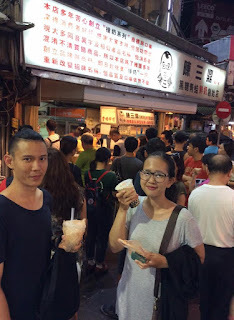 In my previous post, I have talked about my awesome summer in Taipei. Now, like what I’ve promised you, I will be talking about why you should forget your diet when you’re in Taipei. In any trip, I can hold my self not to shop, but food…I just can’t. If I want to eat, then I eat. Hahaha. 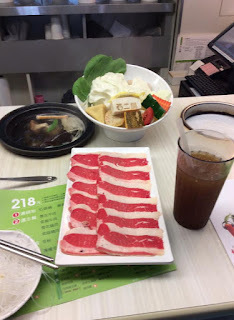 Ok, here are some reasons why I suggest you to forget your diet in Taipei. Taipei has a wide range of breakfast option to start your day, from traditional breakfast like steamed bun and hot soy milk, or you can choose western style like bread and waffle. You can walk along the street sniffing at the smell of fresh baked Chinese bun and walk another 100 meters then being tempted by the smell of waffle. 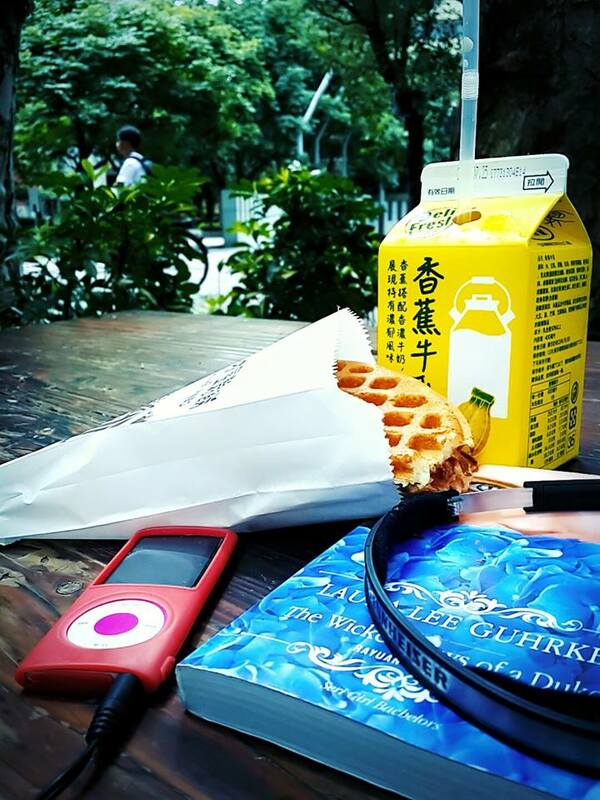 My favorite breakfast routine was sneaking into NTU (National Taiwan University) just to get my favorite warm bacon waffle. My breakfast routine in NTU. Its bacon waffle is the best! But I also liked to walk into a bakery, wandering around for a couple of minute before finally picking my bread, only because I love the smell of fresh baked bread, hahaha. As for coffee, since my stomach isn’t friendly enough with coffee in the morning, I didn’t take even a sip of coffee when I was in Taipei. I believe our coffee in Indonesia is better (sorry, only an honest opinion. Borneo, Toraja, Java, Bali? Name it! ), so I skipped it. Somehow I was more interested in trying all of their fruit milk. When you go to the mall and find a shop saying they have the best Taiwan snack, you will be surprised that when you go to night market in Taiwan, all the street snacks you eat are actually better than it. At least that’s what I thought. Taiwan street snacks are ultimate. It’s like they can fry or grill everything and it will taste good. I ate something like a squid or cuttlefish tempura in Tamsui and it was really good. I ate another one in Ximen, and it was really good too. This one was not in night market, but in Maokong. I picked randomly and d*mn! The sausage was really good. My favorite is a grilled pork skewer with spring onion which I found it in Gongguan. Don’t ask me the detail location of the stall, because I totally forgot. I just picked it randomly. And it was really good. Hahaha. I had to hold myself not to try every single snack I met, if not, I could die with an overload stomach. (No, their street snack costs about 10 NT to 100 NT, but still, if you buy the whole street snack in one night market, you will be out of money :P). If you are a Moslem, remember to ask the seller if it’s pork or not (pork in Chinese: zhū ròu). I didn’t say the one I tried in Gongguan is the first shop who invented bubble drink, because honestly I don’t know, okay? But the fact is, people there (not just tourists) are willing to queue really long for a cup of their original taste of bubble milk tea. At first I was pessimistic, thinking it would be just the same, but I took back my thought once I tried it. 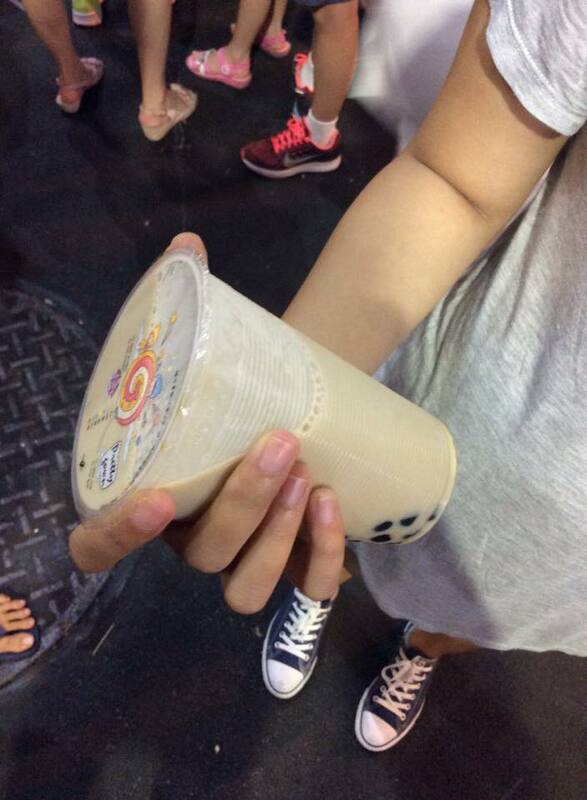 I loved the brown sugar blended with the milk tea really well. I love it! Credit for my boyfriend and my friend, Sebastian, who queued to get it for me, hahaha. Thank you, Seb, for showing this ultimate bubble drink. And for queuing, hahaha. This is, of course, for those who ‘drink’. 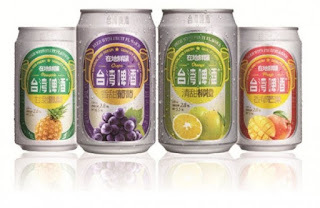 When you walk into 7-Eleven or Family Mart looking for a mineral water or juice, you will probably stop and laugh at their fruit beer. 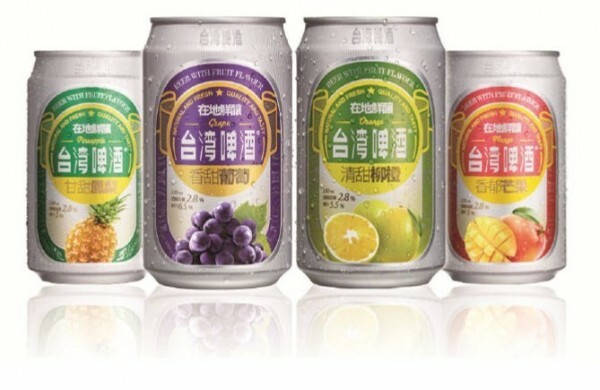 Yes, beer with taste of fruit: pineapple, grape, or mango. Looks like a joke, but wait until you taste it. Surprisingly it matches each other: the fruit taste and the beer taste. The pineapple one is my favorite. I tried the Japanese one, the Suntory peach beer if I’m not mistaken, but I still love the pineapple beer. After the accident, which happened on the last day of my trip, my doctor gave me a painkiller and it forbid me from drinking any alcohol drink. I was so sad looking at my boyfriend drank all of the beer. You might not laugh about it, but you will be interested because of its cute packaging, ahaha. 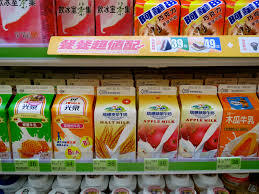 I’m not a fan of milk, but the wide variant of their fruit milk really caught my eyes. Especially when tried the banana milk for the first time. I hate banana, but this banana milk, I love it! No, actually I love every flavor. They have many flavors so that I can drink different one, for 5 days: banana, watermelon, papaya, strawberry, and mixed fruit. 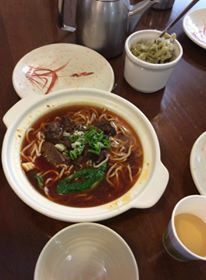 Beef noodle soup is one of must-to-try food in Taiwan. Do not leave the country before you taste it. It’s so good. I love it especially when it’s spicy. Even though it has different spiciness than Indonesian noodle soup, still I love it. The one that I tried was located near Sun Yat Sen Memorial Hall. I heard it was famous around Indonesian student because they serve halal food, but you better recheck it with a trusted source if you want to make sure. At lunch time, the restaurant will be packed of people, so don’t be surprised if you have strangers eating with you at the same table or you will ask to leave if the owner see you have finished your meal (politely, of course). This is, of course, with a comparison to Indonesian restaurant. I always took a deep breath after seeing my food’s portion. I was grateful, surely, but I was worried I couldn’t eat all of it. Once when I ate at my boyfriend’s favorite hotpot restaurant ("12Hotpot) at the lower ground of Carefour, I almost passed out for not be able to finish my food. But he cheered me up and I ended up keep eating even though my stomach was almost exploded. Looks small? I zoomed it out. Wait until you see it yourself. I, then, looked at my right. There was a girl asking for extra meat and rice. WHAT?! How could they eat that much and stay skinny?! 8. Suddenly hungry at midnight? Don’t worry. Convenience Store is your savior. Just like Japan, you can find convenience store everywhere in Taipei. 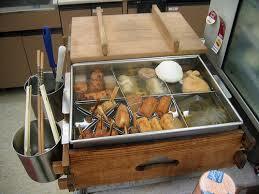 You can just picked your favorite oden, instant noodle, onigiri, sausage, or other fast food to fill your stomach. Don’t forget to grab some snacks, fruit juice, fruit milk, milk tea, or beer if you want a companion. I’m sure you will be more than full. I landed at midnight and all restaurant in Taoyuan Airport were closed. But no problem, Family Mart at its basement is enough to keep my stomach peaceful the whole night. 9. Still not enough reason for you? Open http://hungryintaipei.blogspot.tw/ and you will suddenly have a lot of ideas what you want to eat. The blog had helped me sooo much in listing down foods I wanted to try. The review is comprehensive and I love that she put the detail address. She writes from fine restaurant, fast food, snack, traditional, western, anything!